Prepare to be surprised by the discoveries you make during Previously…Scotland’s History Festival. Genealogical research can lead one in so many different directions, and is a hobby which has been growing over the years with programmes such as “Who do you Think You Are” demonstrating the incredible stories which make a family history. I’ve dabbled with collecting stories from my own family history over the years: having conversations with relatives and snatching time every so often to work on a particularly stubborn bit of the story where I get stuck and can’t get further. There’s one particular ancestor who had 12 children and who lived from 1870 – 1945 whose story pulls me back every time I pick up the threads to continue my research. 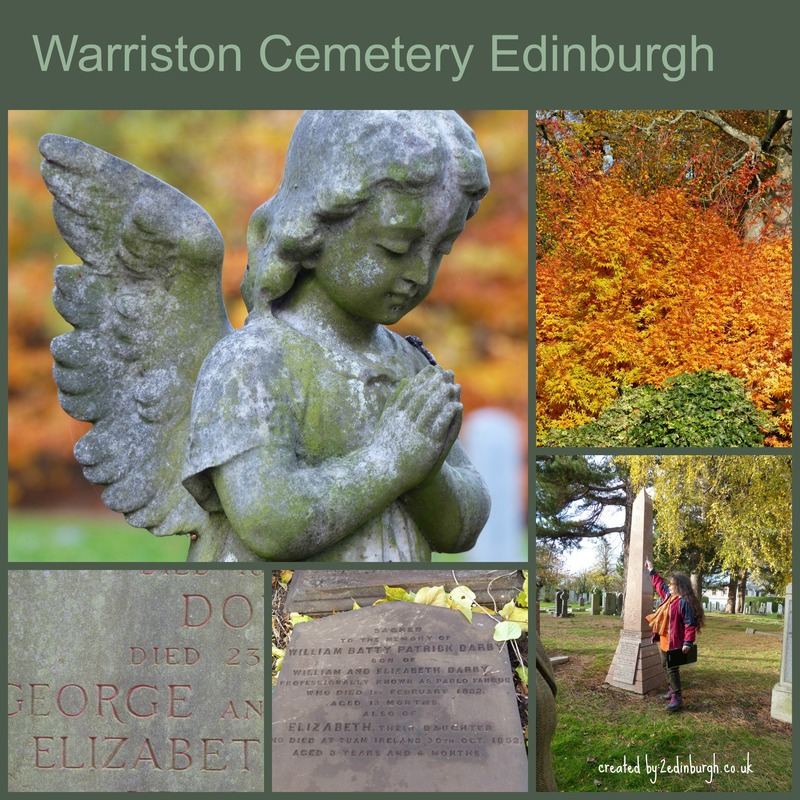 It was a tale about this member of my family which led me to book for one of the events at Warriston Cemetery during the 2013 Scotland’s History Festival led by Caroline Gerard, one of the Friends of Warriston Cemetery. There’s a Facebook Group you can join too. On arrival at the event, we were offered the opportunity to contribute an additional £2 over our ticket price (of £4) for the tour to become a Friend of Warriston. As I’d already seen some of the work the group are doing, I was happy to make this small donation. The tour on the 16th November 2013 was the first of two being offered. The next is on 30th November 2013. One of the surprises about the tour of a graveyard was that it wasn’t at all gloomy! 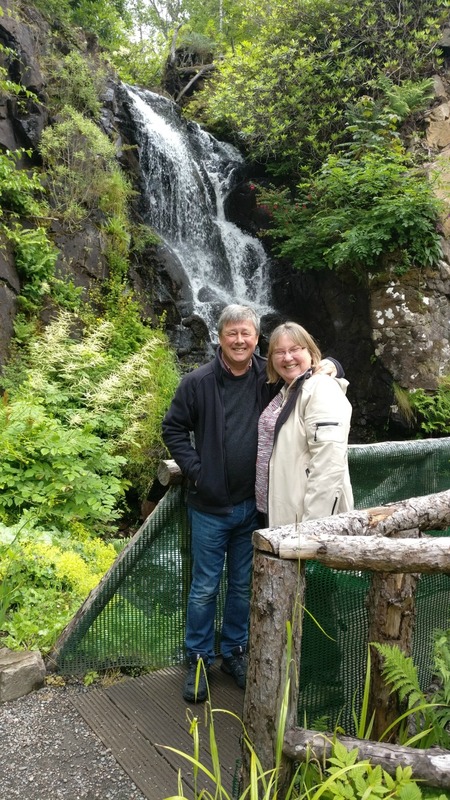 Caroline has such enthusiasm for her subject, and told stories of astronomers and Celtic crosses, solicitors and architects, flora and fauna, musicians and anesthetists – as well as giving some quick sketches of the great and the good of Edinburgh’s bygone days. An inspiring tour from Caroline Gerard whose stories brought the walk to life. Her enthusiasm for the subjects shone through, for the human and social history; the biodiversity of the area; and the craft of the sculptors on display in the graveyard. Thanks Caroline! I’ll be returning to other aspects of this tour in future blogs. If you’re inspired to come to Edinburgh to find out more about your own family history, consider coming during November when Previously…Scotland’s History Festival takes place – experts like Caroline are a joy to meet and learn from and could help you take further steps in your own research. We do hope that you’ll get in touch in your search for accommodation – Craigwell Cottage is very conveniently situated for researching at Scotland’s People Centre (under 15 minutes walk) as well as being next door to New Calton burial ground – a subject for another day.